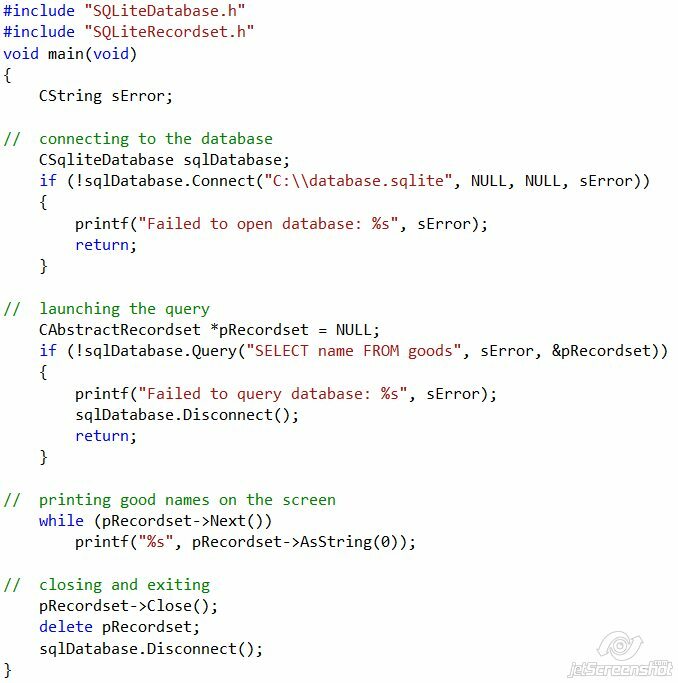 These class library provided with full source code is designed to simplify access to the SQLite databases from your VisualC++/MFC programs. The library consists of the two classese: CSQLiteDatabase and CSQLiteRecordset. Executes a query that does return a recordset. The 3rd parameter receives a pointer to the recordset created in the case of success. Executes a query that does not return a recordset against a database and returns the error description if necessary. Please use the following link to download the full SQLite access classes source code.